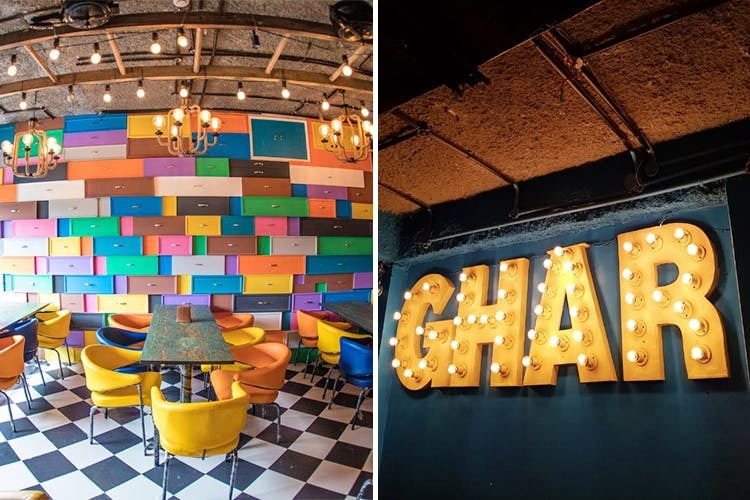 Ghar Bistro is a cafe in Rajouri Garden that is giving out free meals to people from old age homes. They do ghar style cuisine, with a little side section for European dishes. The amazing gesture they've taken upon themselves to carry out is definitely the winner here–they're giving out free meals to senior citizens from old ages homes. No catches, no holds barred, nothing–just a simple, warm deed that's enough to win hearts. Folks, you just need to show a valid ID and enjoy a hearty meal. This offer does not have an end date currently. When it comes to the food, they've kept in mind the preferences of senior citizens and developed a menu that's a fit for all. You'll find the ghar ka khana inspired dishes like Mutter Mushroom, Dal Tadke Wali, Bhindi Do Pyaza, Murgh Makhani, Kadhai Chicken and more. They've even got lassi, chai, and nimbu paani to wash it down with. For the millennial peeps, pasta, pizza, burgers, wings and other go-to comfort foods make up the menu. And yes, they do have a bar with your favourite drinks in stock. While we love their sweet gesture, we feel like the decor and the vibe might not be in conjunction, but it is a cafe like any other at the end of the day. We still feel the interiors are a little too loud. We tried a basic, white sauce pasta and found it to be average. Parking will not be an issue here at all; there's ample parking space outside, so don't worry about it.